Edited by stomias, 13 December 2018 - 07:55 AM. As many of us have noticed, Dave Trott has been selling off quite a few excellent classic scopes lately. 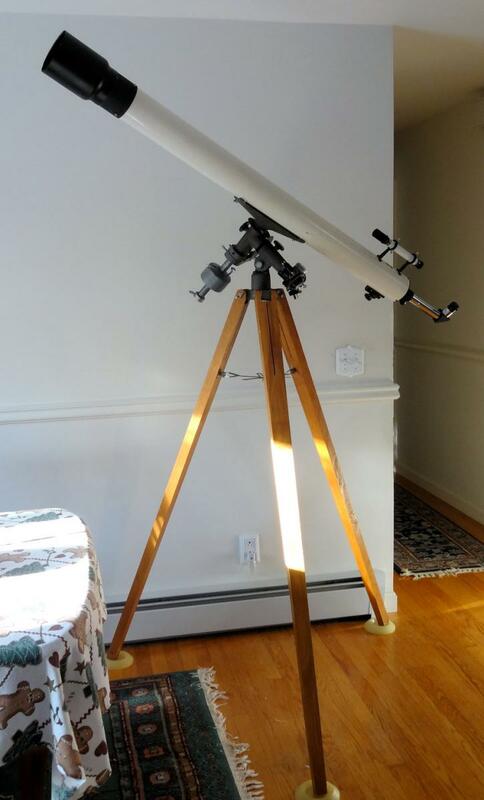 I was fortunate enough to snag his Edmund Scientific 4" f/15 refractor. 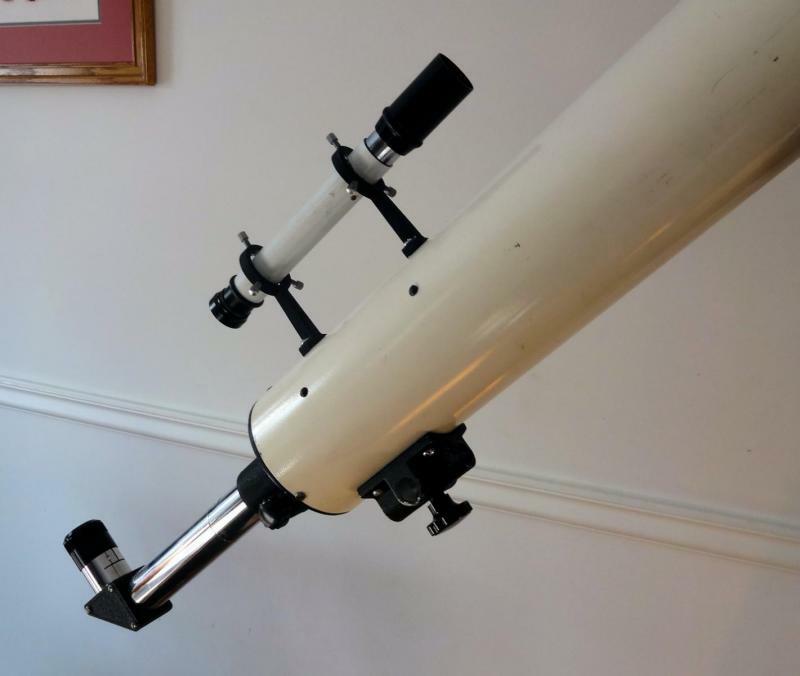 As a long-time collector of Edmund telescopes, I have to admit that scoring this scope was a real dream come true, as I have been wanting an Edmund refractor for many years. In the rare cases that one in good condition came up for sale I have always been either low on hobby funds or too slow on the draw in making an offer. 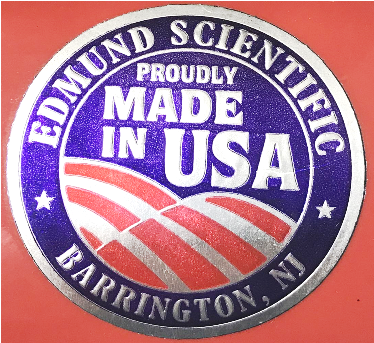 In this case the stars aligned, I am now the proud owner of a certified Dave Trott Edmund refractor, which has become the pride and joy of my Edmund collection. I couldn't be happier with this scope. 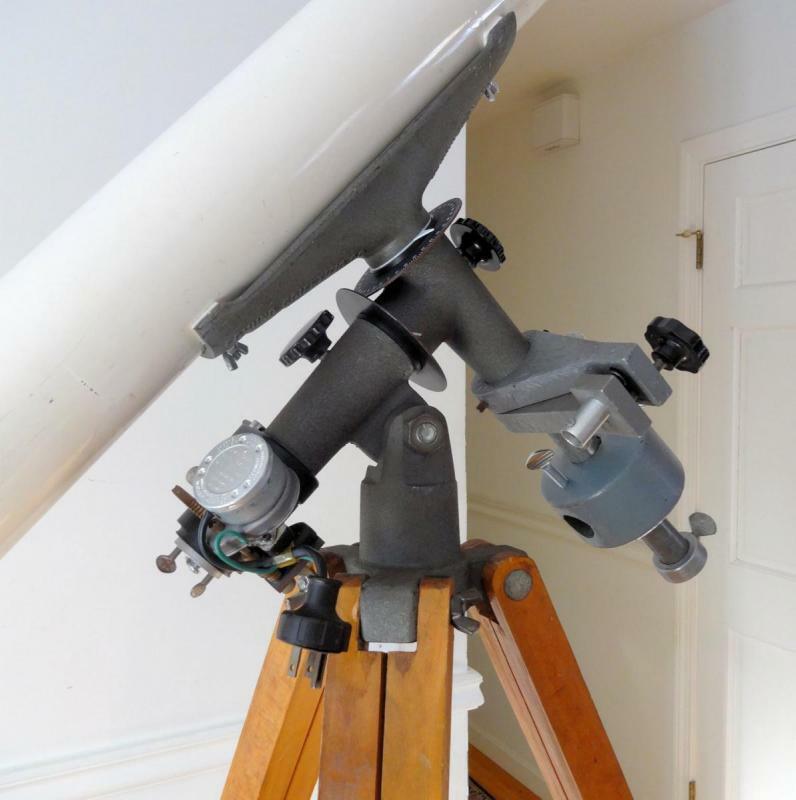 It is in remarkably good condition, and the little bit of paint restoration that Dave did on the scope looks very good. The clock drive as I received the scope was not fully functional, as it was missing a couple of screws and was not assembled correctly. A quick look in my hardware bins found screws of the correct size, and I took the opportunity to completely disassemble, clean, lubricate, and reassemble the mount and clock drive. The mount now works very well. There is still a bit of "slop" in the R.A. axis that I can't seem to adjust out, but I can work around it in actual use. Tests under the night sky show that the mount functions fine and tracks surprisingly accurately. 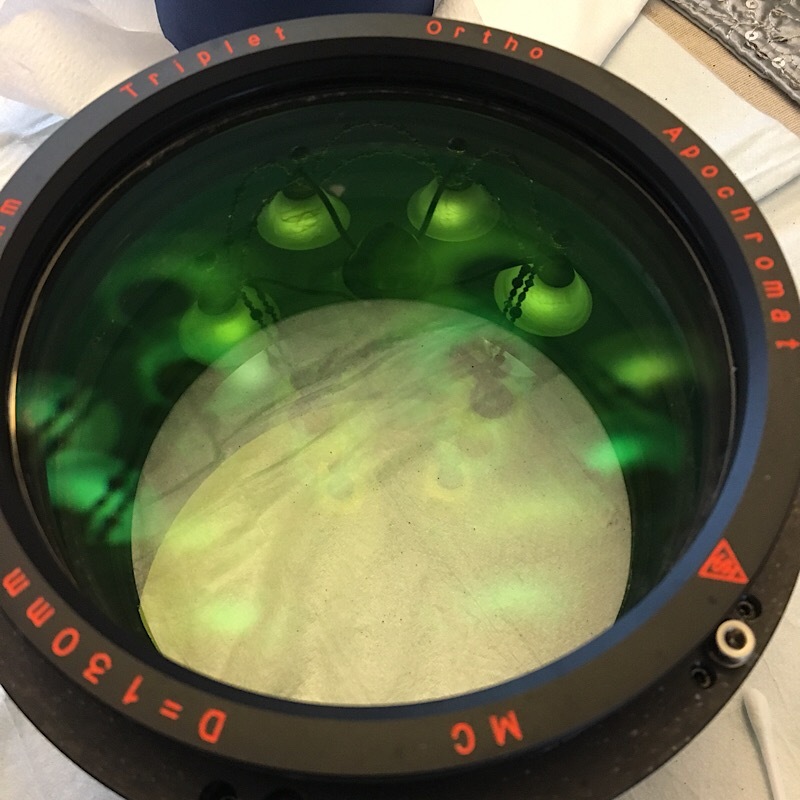 Most importantly, tests of the optics reveal that this scope has a first class lens. Images are extremely sharp with good contrast. Views of Venus do reveal some false color, but only about as much as one would expect for a scope of this size and focal length. 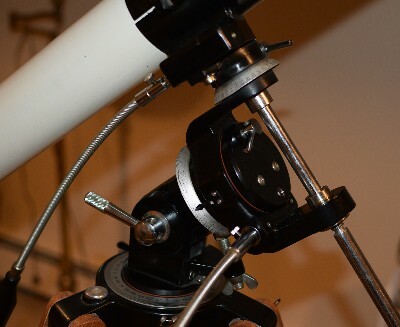 One interesting feature of this scope is the hard-to-find declination slow motion tangent arm. It works like a charm. 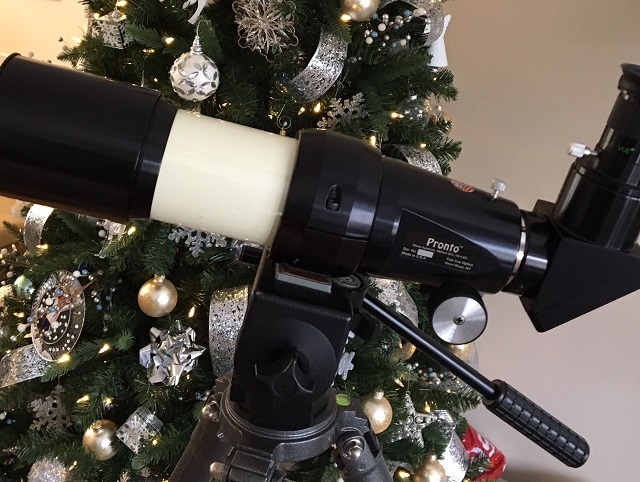 Compared with the 4" f/15 Unitron Model 152 I used to own, this scope is much lighter and easier to move around. 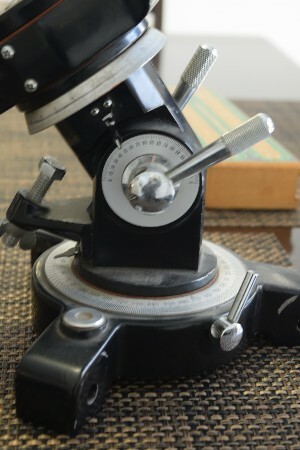 Although the Edmund lacks the refinement and exquisite machining of the Unitron, the optics on the Edmund are every bit the equal of the Unitron. 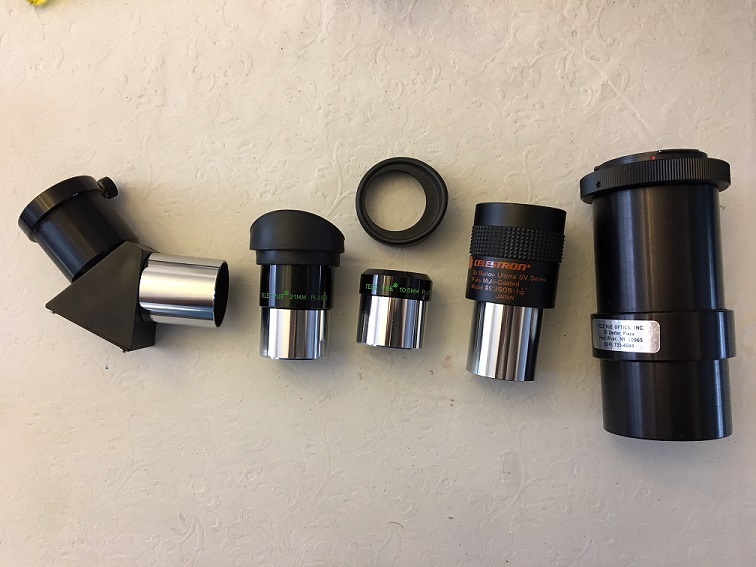 The Edmund mount is more than adequate for this size scope, and a rap to the eyepiece shows a damping time a bit under two seconds. Very nice. As Dave says in his video of this scope, Edmund made them "just good enough." Also included with the scope, but not shown in the photos is a complete setup for solar projection viewing and a bracket for adding a camera to do afocal photography, as well as the awkward yet functional balancing system that involves adding a second counterweight shaft to the first counterweight and hanging a second weight off of that which can be adjusted to offset imbalances along the length of the telescope tube, since the tube is fixed to the mount with screws and can't be repositioned for balancing. 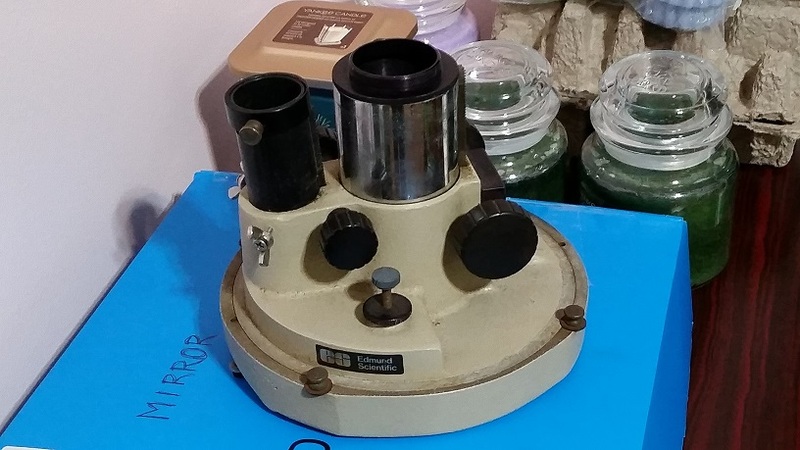 This is one scope that is definitely going to be staying in my collection for a very long time. 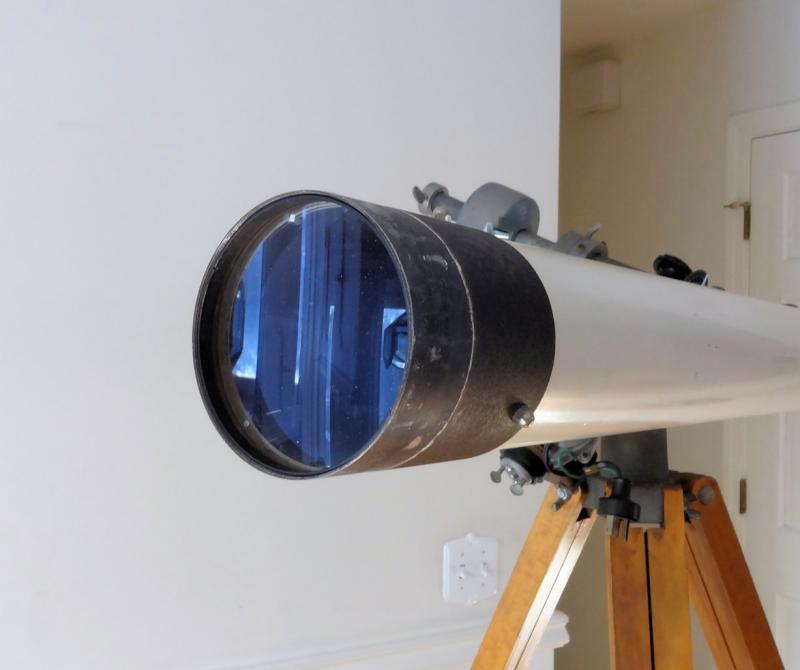 I am so glad this scope found a great home with you, Scott. 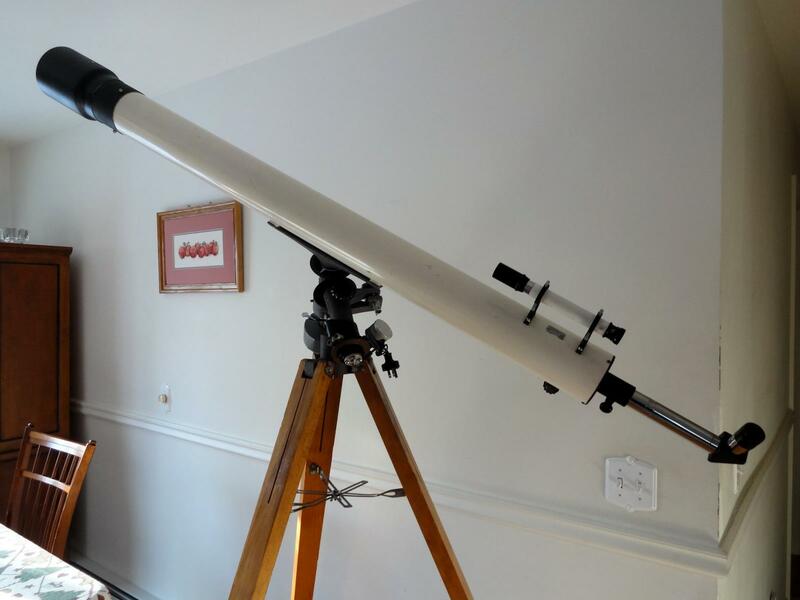 One of the joys of this hobby is seeing a fine telescope matched to a user that really appreciates it. Enjoy! Congratulations, Scott! I know what you mean: So many people said good things about the Edmund 4 that I just had to have one. Lots of scopes later it's still my favorite. 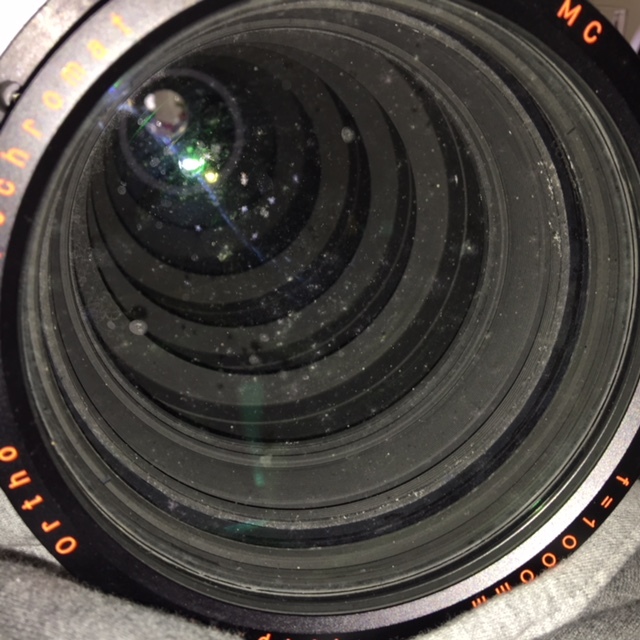 It's the just right scope with plenty of aperture, high F-ratio, low false color, in a rig that looks way heavier than it is. Every view of every object is excellent. Came across this at a local antiques place yesterday for $17. They also had a 7TE-5, but it was, at best, a parts scope for $85. 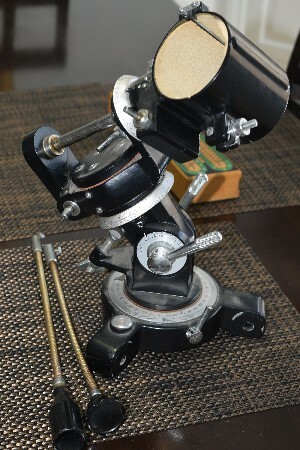 This is the four-bolt version with one thumbscrew on the clamshell. The last photo shows that it had never been dismantled before. 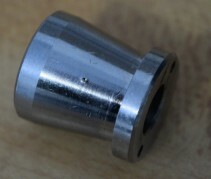 After cleaning & relubing, it is very smooth with NO backlash. This is the first mount of many with the eccentric bearings that I have been able to properly adjust, so I may be putting a nice old clock drive on it. Looks like I'll be pulling out all of my similar mounts for reevaluation. The counterweight and its shaft were missing, but I had some spares. These are the before cleaning photos. I'll post the after when I finish. Yep, I'd have paid $17 for that one, too! Good find! Not the sort of thing that often pops up in Keene. 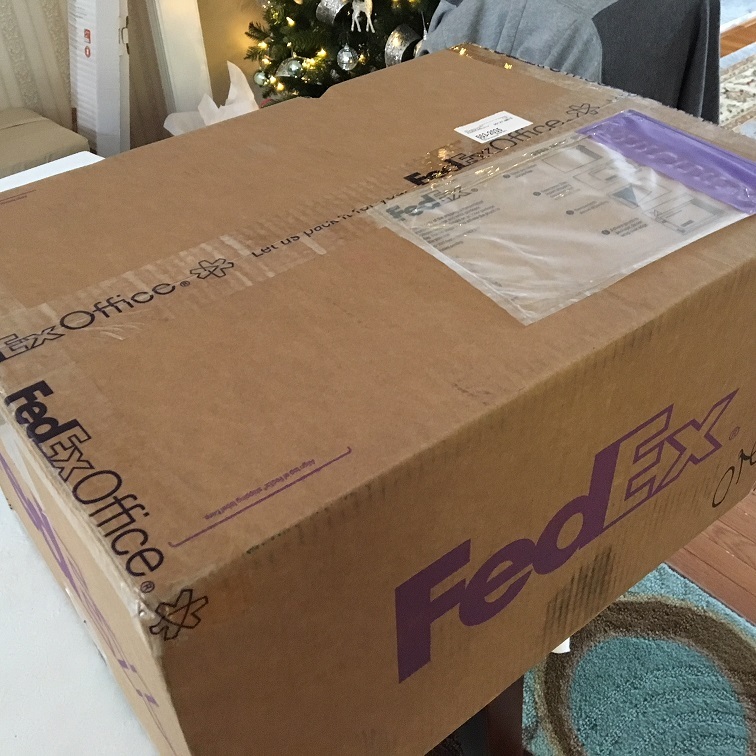 Well I just won a 30" Meade GW. Looks to have the long pullout focuser so guessing its f15. The question is f15 what. Maybe only a 60mm which is fine. If a 76 or 80 would be real fine.GW pics should be there for a little while.61297779 is product ID. Edited by rolo, 16 December 2018 - 08:29 AM. 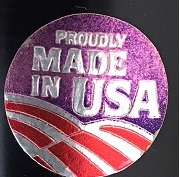 I have one, so I'll pass on the ID. Fooled me! This was my thinking. Cleaned up nicely and is ready for action. Unfortunately, New Hampshire isn't. Did a cleaning and all that's left is what's between the two rear element. All three elements are widely spaced. 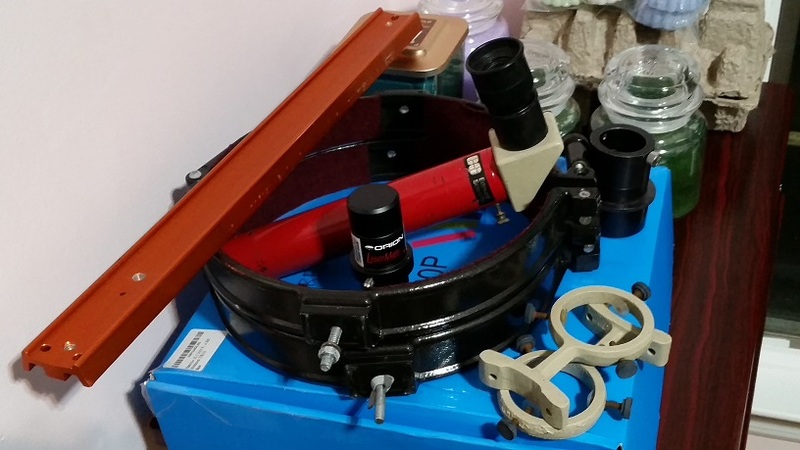 Will finish cleaning and collimation after I get the Tak cleaning kit. be as good a new then. Then we'll do a shoot out vs the AP130GT. Finally got the Tak cleaning kit and finished the TOA130 objective. Easily the most challenging to date! Center element was fixed in place so I had to remove the rear element to get to the inner dew stains. Overall came out very nice. Next the testing, DPAC, star testing and shoot out vs Ap 130GT. Edited by rolo, 16 December 2018 - 05:19 PM. NAILED IT!!! How many in the U.S. would tackle that job, let alone SUCCEED. Nice work!!! ...and the best for last... this is a monster of a focuser! 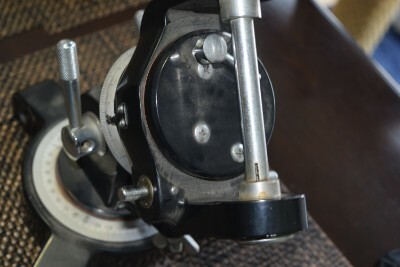 The OTA has been retrofitted with a modern two-speed focuser. But there is some temptation to restore it to the original, the question is how functional and practical it is and if my mount can handle the extra weight. So my OTA seems to be the Mod. 4005. Picked up these two last weekend. UO 5mm Ortho and Meade 7mm Wide Angle. 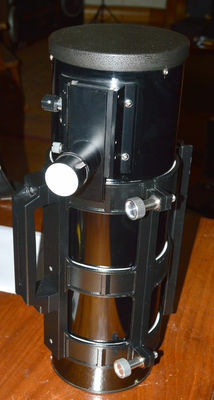 Now, I just need good weather so I can see for myself if the UO orthos and Meade RGs live up to their name. Well, after about three months since purchasing these, I finally got to try them last night on the moon with my 4" f/7 refractor. I absolutely love the 5mm ortho. It's the first quality ortho I've used and I can see why they are well regarded. Great contrast, neutral colors, and had a nostalgic feeling - it felt like looking through a porthole. Definitely looking forward to picking up more if I can find them at great prices. 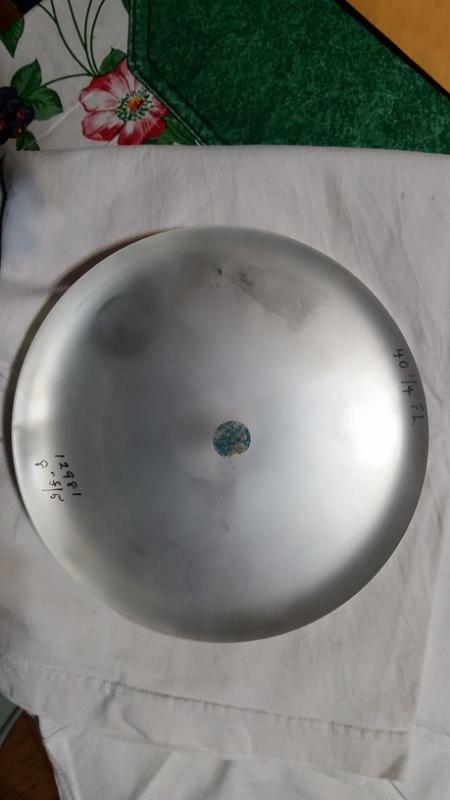 The set posted on the classifieds today is at a fair market price, but I can't justify $70 a pop given what modern design eps for that money. Edited by Cometeer, 20 December 2018 - 07:20 PM.